Maximising the productivity of large mobile plant was a critical performance criteria for a large mining operation. Intelligent oil condition monitoring delivered a measurable improvement in equipment active operating time. 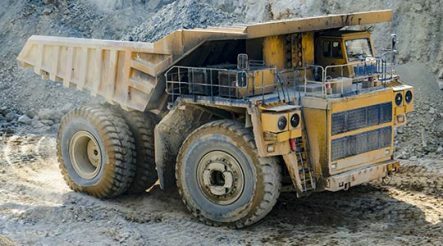 OQSx sensors were fitted to the gear boxes, engines and hydraulic systems of a total of 36 large plant such as rock crushers, excavators and trucks. Operator alert display units were fitted in the cabs of each vehicle to provide immediate condition alerts, whilst data was also streamed back to the maintenance depot where it was used to predict optimal service schedules. The customer benefited from reduced servicing through being able to maximise the true life of their oil, coupled with reduced equipment wear and associated issues. With 8 month pay back, the installation of the oil sensors delivered a series of benefits which all contributed to the estimated 8 month investment pay back. Oil consumption was reduced by 19.7% as the sensor showed oil was being replaced when still viable. Oil disposal costs were dramatically reduced due to fewer oil changes. Equipment failure costs were reduced due to improved maintenance schedules and auditing of correct procedures through analysis of the OQSx data. Contamination which could have caused serious damage was immediately identified by the sensor allowing instant remedial action.